For centuries, the Church has been fighting mammon with mammon, and in fact, Rome and the Vatican played a major part in the development of our modern banking system. Consequently, the Church has never been able to enter the Kingdom of God fully but for short periods of time. But I believe that God is about to change that, and unless you understand this, you will end up rejecting the greatest blessing God wants to bring into your life—freedom from the oppression of mammon and experiencing the fullness of God's Kingdom. In January 2010 I wrote about the 30-year reformation God would be bringing into Europe, and after many years of prayer, I believe that our shifting understanding about the role of money in our lives will form a bedrock of this reformation that will soon begin. I received the prophecy about the coming reformation in three cities—Prague, London and Venice—and I felt that each city had some prophetic significance. I understood the significance of Prague and London rather well, but Venice did remain an enigma to me. It was in Rome where the Church was established, and it was in Rome where the Church lost the battle against mammon. My friend Pastor Claudio Ferro has just written an insightful book in Italian about the four principalities governing Rome and Italy, including mammon, and the book is also out in English. I had begun to pray for Italy specifially after I had visited Rome and my friend Claudio in April 2013. Claudio pastors a church in Rome and another one outside Rome. 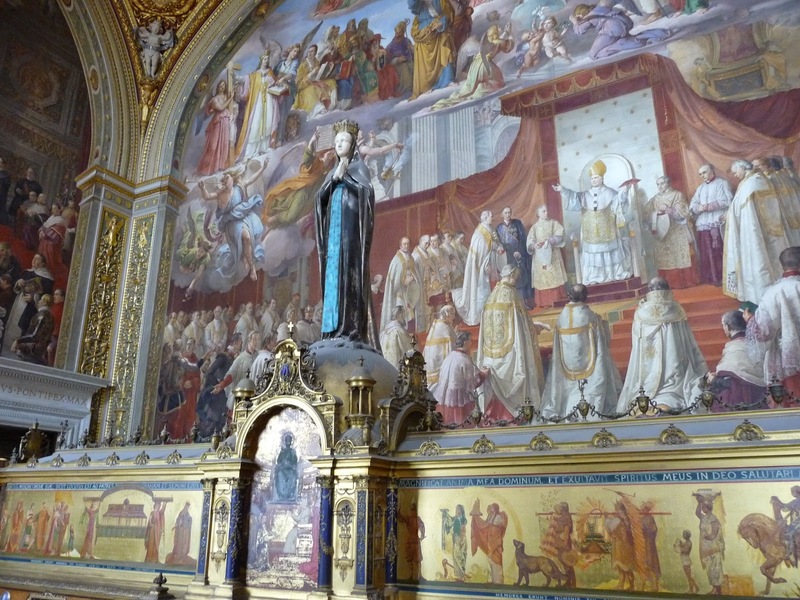 As Claudio took us to the Papal Archbasilica of St. John Lateran, the official ecclesiastical seat of the Bishop of Rome, the Pope, God gave me a clear prophecy for Italy. According to the prophecy, God would raise a new church in Italy that to the Italians wouldn’t look like a church at all, but more like “Starbucks and Gucci”, and that church would become very large in Italy. God would use the fact that the new Church won't initially look like a church to most Italians to attract especially the youth. It is soon two years since that visit in Rome, and during that time we have also visited Florence, Tuscany and Genoa. But only a few weeks ago, I saw a vision about the spiritual map of Italy. It was a satellite map of Italy, and in the beginning, the whole map was completely dark. But then, the northern part of Italy lit up, and this light spread rapidly from the northern border down to the area of Florence. Then the spreading of light stopped for a while, until it began to spread slowly toward Rome. 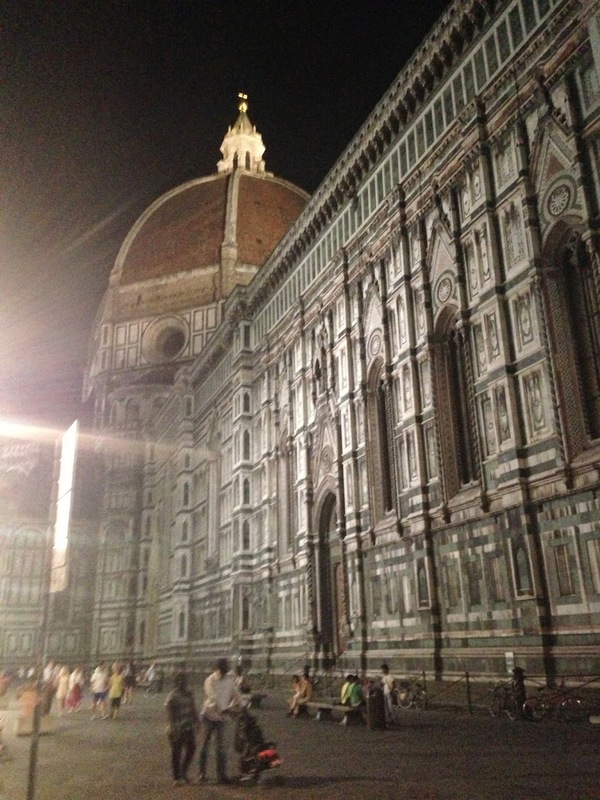 Florence was once the banking capital of the world. What struck me was that apart from Rome, all the cities and regions we have visited in Italy could be found in the area where the revival spread rapidly in my vision. As God had specifially guided us to these places but I didn't know why at the time, I knew that it couldn't be a coincidence, so I began to study the history of these areas. I soon discovered that it was these cities that we had visited, with the help of Rome, that had birthed the modern banking system. The origins of modern banking can be traced to medieval and early Renaissance Italy, to the rich cities in the north like Florence, Lucca, Siena, Venice and Genoa. The Bardi and Peruzzi families dominated banking in 14th century Florence, establishing branches in many other parts of Europe. One of the most famous Italian banks was the Medici Bank, set up by Giovanni di Bicci de' Medici in 1397. The earliest known state deposit bank, Banco di San Giorgio (Bank of St. George), was founded in 1407 at Genoa, Italy. 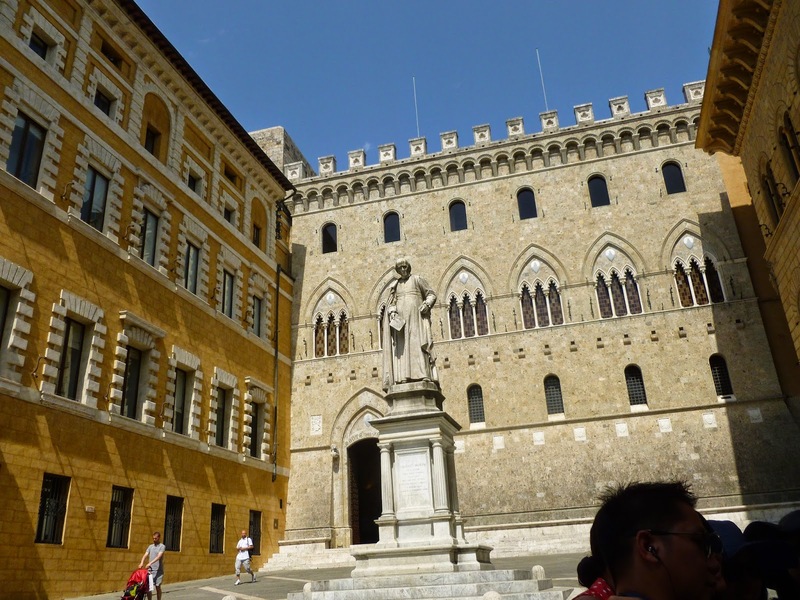 The oldest operating bank in the world in Siena, Italy. In his entertaining book Medici Money: Banking, metaphysics and art in fifteenth-century Florence the author Tim Parks shows how the birth of the modern banking system was intimately linked to the Church which was the main customer of banking services. First, the Church needed international banking services to transfer money given to the Church to Italy safely. This helped to build an international banking network which was initially controlled by Italian banks. Second, the cardinals and many churchmen needed it, as they weren’t really supposed to own any property, and any new pope could easily confiscate the properties of churchmen and cardinals. So, these churchmen became the customers of international banks that could hide the money much more effortlessly than a churchman could conceal a property. Third, most Medieval and early Renaissance art in Italian churches, and often the churches themselves were created with the money the rich men paid to secure a shorter stay in the purgatory, so in a very real way, the Church ended up selling salvation. Without the Church in Rome, the modern banking system could look quite different from what it is today, especially as much of banking arrangements was generated to circumvent the ban on interest. Did you know that the modern currency exchange system was developed partially to avoid the ban by Church on usury? Blame the Vatican next time when you lose money in a currency transaction! It seems fair to say that since Christianity became a state religion of the Roman Empire, our religion has been married to money, and this relationship has over the centuries only deepened. The Reformation did very little to upset that relationship; it only redirected the money flows. 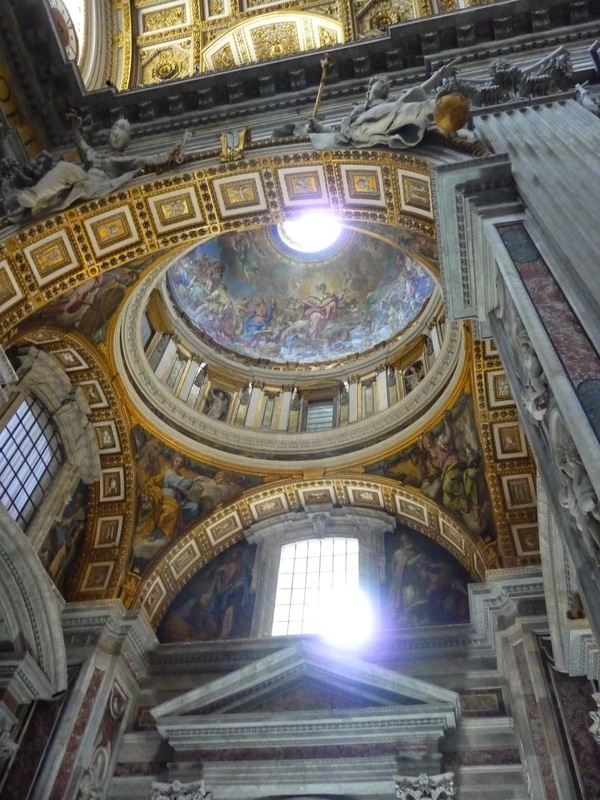 If you visit the Vatican, you soon realise that even the wealthiest prosperity churches and one-man religious empires in America are poor paupers in comparison to the Vatican that has been accummulating riches for well over a millennia. But it is no coincidence that many prosperity teachers feel attracted to the Catholic Church. In summer 2014, many leaders of the charismatic church visited the Pope Francis in the Vatican. The meeting was organised by Tony Palmer, an episcopal bishop who was a close friend of the Pope. Soon after, Tony Palmer died tragically in a motorcycle accident. I remember praying after this event regarding the direction these Charismatic leaders were about to take, and God answered to me clearly: "This isn't the direction my Church will take." I respect the late Tony Palmer greatly, but with him the natural link between the Charismatic Church and the Catholic Church was severed. But what a paradox must it have been when the Pope, the leader of the most prosperous church on earth arrived to the meeting with his humble Fiat whereas the prosperity teachers would have landed in one of the private jets! But the wealth of the Vatican will always outlast the current pope who seems to genuinely abhor excess. The Vatican has outlasted all kinds of popes over the centuries, after all. I couldn't help but ponder the futility of the emphasis in the charismatic church today on possessing a visible kingdom, and somehow advancing the Kingdom of God through that. Here was the Vatican, the headquarters of a church that had successfully built an earthly kingdom, influencing politics and monetary policies for hundreds of years, and yet it felt so empty of spiritual power. All that was left were the empty rituals. Why can't we charismatics see the warning example of the Vatican? Like the disciples, we easily admire the wealth of the Temple but forget that the material wealth has no inherent spiritual power. Now, Francis is one of the few people that took Jesus' teaching about not worrying about money literally. In many ways, he seems like a lone star in the fight against depending on mammon. Over the last year, as I have been in prayer, the Holy Spirit has spoken the same sentence to me again and again. He is saying, “I have been waiting for this a thousand years!” But for months and months He spoke it to me without giving me an answer regarding what He had been waiting for such a long time. But over the last few weeks the answer has become clear. I believe that He has been waiting for a Church to rise in Europe that is free of mammon’s power, although it might be prosperous. He has been waiting for a radical Church that like St. Francis of Assisi dares to test the veracity of Jesus' teaching about money. And the paradox about money is that it doesn't really matter how much or little you have of it, seeking it first will obstruct you from entering God's Kingdom. In my book Five Movements: Winning the Battle for Your Prophetic Gift I also touch on the relationship between prophets and money. A while ago when I spoke to someone about seeking the Kingdom of God first, the response was: “That is not very practical.” I don’t know if it is practical, but they are the words of Jesus! This attitude which most of us have shows our real trust in mammon. We want to trust Jesus in all things spiritual, but when it comes to practical life, we want money. This is so easy to preach and so hard to live. Even the churches that preach it mostly rely on mammon-based accounting of success in their actual lives. And mostly the ministers who ask you to put your trust in God for your finances, and to give, do so because they don’t want to put their trust in God for their finances themselves, but prefer the good old cash! But this isn’t just about money. Our provision is also a principal way that our faith in God will be tested. Anticipating the disciples' reaction, Jesus says: "O you of little faith." For God, our provision is a trust issue and not a money issue. Will we trust in God enough to let Him make decisions in our lives? Or are we too scared of losing our provision to take steps of faith? Now I am not asking for anyone to stop using money, as the whole modern economy is relying on it. You can't buy or sell without it. You can't do much without it, so pervasive the grip of money is on our society. And that's the real reason why God is so concerned of our relationship with money. A few nights ago, God showed to me the all-pervasive presence of the principality of mammon in our lives, and I began to realise how nearly everything we experience is distorted by the lense of our misunderstanding about mammon as the driving force of our society. But have you ever wondered why God mostly speaks to us about His provision rather than money? He always says that He will provide to us whatever we will ever need, and rarely He defines our needs in monetary terms. The answer is simple. God owns the universe and He gives from what He owns. But man created the whole monetary system. Money is man’s creation. It isn't God's creation. And when God looks into His pocket, He finds the universe, but He has no money! And He has no need for it. After all, He owns the whole universe. It is impossible to serve both money and God, for money will keep us firmly in the man’s kingdom. The kindgom of money works according to man's rules. The Kingdom of God works according to God's rules. That is why it is hard for the rich man enter the Kingdom, as he knows too well how the “world works” and is trusting in money to produce results rather than God. But God wants us to enter His Kingdom and learn how His Kingdom works. I believe that a fundamental part of the coming reformation in Europe will be God dealing with the way we rely on money for our provision, as it obstructs us from entering the supernatural Kingdom of God that works according to completely different laws. And paradoxically, it is our often teaching about the prosperity that God gives that in fact stops us from entering the Kingdom of God, as it ties as tighter and tighter to mammon. The sad reality about prosperity gospel is that it deceives us and makes us into slaves of mammon. For the apostle Paul, his financial situation was a secondary issue. He could handle both poverty and wealth without either damaging his relationship with God. "He causes all, both small and great, rich and poor, free and slave, to receive a mark on their right hand or on their foreheads, and that no one may buy or sell except one who has the mark or the name of the beast, or the number of his name." In the system of the antichrist, Satan will have all the money, and the Church won't have any, as Satan will be running man's kingdom for a very short time, and he will use money as a weapon against the Church. But before that, in future years, we will see a Church that will wield money as a weapon against Satan without becoming entrapped by it. The coming money revolution will show us how to trust in God in a very real world that seems to be run by money. It will be a demonstration that, contrary to our belief, the money doesn't make the world go round, but it is God who makes the world go round! Most church movements and revivals start materially poor and spiritually rich and then they become materially rich and spiritually poor. It is as if they obeyed the commandment to seek the Kingdom of God first but when they get all things added to them, they immediately forget the Kingdom of God. But all things added is not our goal but a necessity, and even when all things are added to us, the Kingdom of God should still remain our destination. The next move of God in Europe will be started by those who are spiritually rich but materially often poor. My prayer is this that when the success of it begins to unfold that it would still keep on seeking God relentlessly.